Optimization is about ensuring you’re getting the best possible result for the least amount of money, and it’s an essential part of digital advertising. It can make the difference between a campaign that costs you money and one that makes you money. And whatever your goals are, it’s hard to reach them without doing basic maintenance in Facebook’s ad manager. But let’s be honest: Facebook advertising can be pretty intimidating. It’s not as simple as creating an image, slapping on some text, and making it live. There’s an overwhelming number of customization options, many of which can improve your ad’s performance—if you know how to use them. 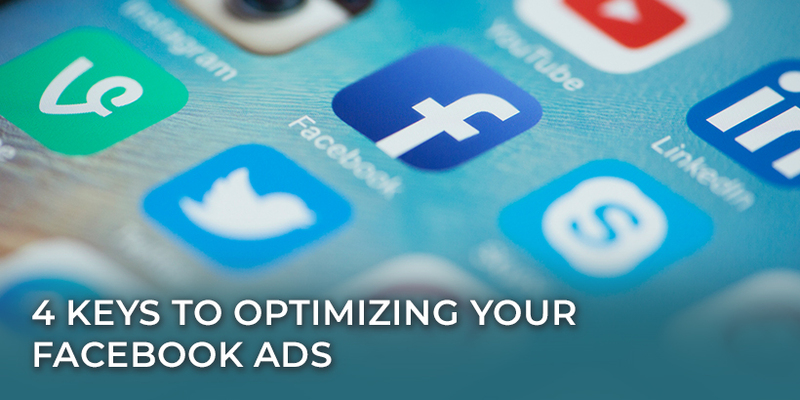 Optimizing your Facebook ads doesn’t have to be complicated, though. With a few basic principles, you can improve just about any ad. Here are 4 simple tactics you can use to improve your ads. If you’re not showing your ads to the right people, it doesn’t matter how brilliant your copy is or how engaging the videos are—they’re not going to do well. One of the biggest factors that affects your ad’s performance is how relevant it is to the people who see it. That’s why Facebook even gives you a relevance score between 1–10. A higher relevance score means your audience is more likely to interact with your ad—and it’ll cost you less to show it to them. Even if you have a decent relevance score (say, a 6 or higher), you can probably refine your audience to find people who are more likely to be interested in your offer. Facebook gives you a ton of options for customizing your audience, and there’s no reason why you have to settle for just one. A/B testing isn’t just important for emails and landing pages; in advertising, testing variables is one of the biggest keys to making sure you get the most bang for your buck. And one of the best variables to test is your audience. You can test audiences you created through retargeting against people who have interacted with your brand on Facebook, or liked your page (or a competitor’s). You can create custom audiences based on interests, or using your email lists. These are all audiences you should test regularly. Sometimes the problem isn’t your audience. Even if you identify the right people, generic messaging—or worse, irrelevant messaging—can significantly hurt your ad’s performance. If you’re taking the time to isolate a specific audience, take the time to isolate the ways your products or services overlap with their specific interests. When the same ad “works” for every kind of potential customer (or every audience persona), you can probably make a better offer to each of those audiences separately. You wouldn’t promote your product or service to a pastor as you would to the average church member. And on the phone or in person, you probably wouldn’t make the same pitch to a retired senior as you would to an employed millennial. So why do that with your ads? Everyone has different schedules that affect the days and times that they’re online, and when they’re most likely to respond to an offer. Obviously, pastors are going to be a lot harder to reach on the weekend, even if they sneak a peek at Facebook now and then. Facebook lets you see what days and times your ads have the best performance. As you run more campaigns to similar audiences, you’ll start to see which days and times are most effective for you, and then you can create a custom schedule that only shows your ads at those times. Your goals, your audience, and your offer all affect which ad types will work best. The standard “image plus text” ads are most familiar, but Facebook gives you a lot of different ways to present your message to your audience. If your offer applies to several products or services, or your message has several facets you’d like to express in the same ad, a carousel ad might be a better choice. These allow you to provide multiple links in the same ad. Or maybe a collection ad, or a slideshow ad could improve your results. Doing things the same way every time is convenient, but it may not be best for your bottom line. If you want to get the best possible results from your advertising efforts, you need to think strategically about which format your message is most suited for. When your ads don’t perform as well as you want them to, it doesn’t necessarily mean you need to scrap them or go back to the drawing board. Digital advertising is fueled by data and experimentation. Every time you run an ad, you learn a little more about what works and what doesn’t, so you can refine your current and future ads and get better results. That process of learning and optimizing should never end. Unless you’re satisfied with your results, and don’t want them to get better. 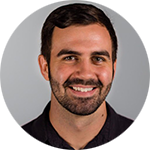 Ryan Nelson is a writer for Overthink Group, where he helps brands tell their stories and climb search engine results pages. What Does Your Audience Actually Want?